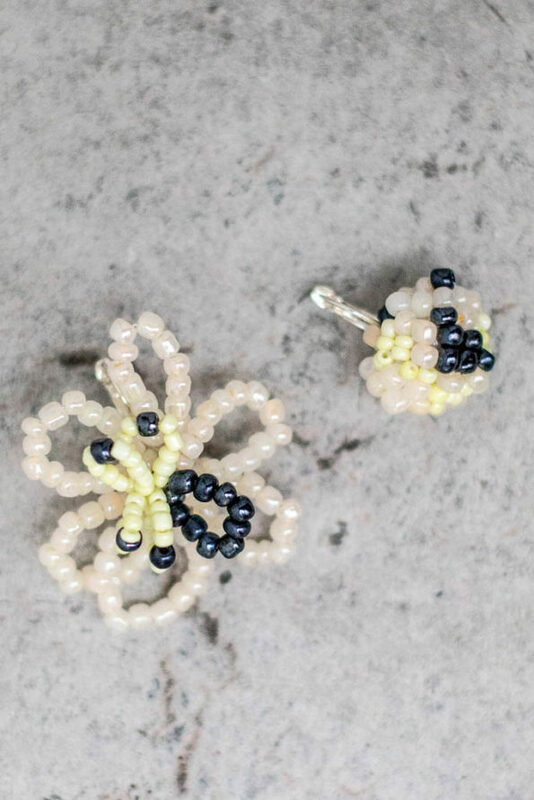 These limited edition SABINNA earrings are made out of glass beads. 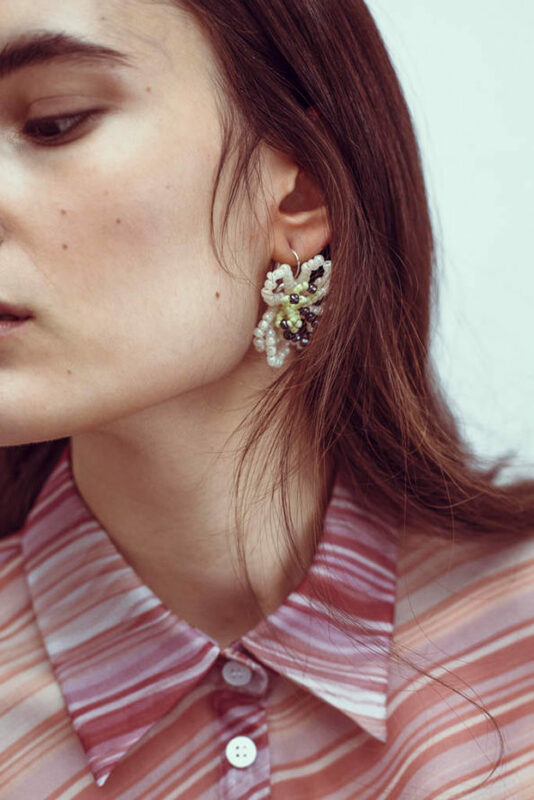 Exploring the aesthetic of coloured glass beads, we created a selection of jewellery pieces for both everyday use and special occasions. The earrings come in a pair but are not the same. One earring comes in a flower shape and the other one in a shape of a bubble. They are handmade in our studio in East London.